Home News Web What Is Web Hosting? Web server is commonly assumed as a virtual land and web hosting is the way to gain access to this land. Normally, web hosting is a service that is provided by some web hosting companies. The web hosting company offers a physical location on their servers for the storage of web contents and files. The web servers are normally works like computer hardware and it provides worldwide web service on the internet. Web hosting is very important to make a website. When you are going to make a website firstly you need two important things and they are the hosting and domain. The hosting server provides you the facilities to storage data on internet. And the domain stands your website name. You cannot make a proper website without the hosting. 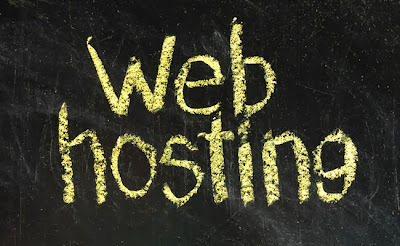 So, before making a website you need to learn thoroughly about the web hosting. There are many types of web hosting like blog hosting, image hosting, video hosting and file hosting. 01. Blog Hosting: Blog hostind is very helpful to make a blog or website. Blog hosting provides the full application builder to build a blog or website instantly. Maximum time blog hosting is totally free. And is is very helpful to the beginners to build a blog or website. The use of blog hosting is very easy. And everyone can use it. Blogspot, Wordpress are some examples of blog hosting. 02. Image Hosting: Image hosting provides the facilities to storage image on the internet. Image hosting provides the facilities to display online slideshow, online photo albums, photo sharing etc. You can storage any kind of image file in the image hosting sites and share them into your website easily. Example - flickr, facebook, imageshack, google picasa, photobucket and many more. 03. Video Hosting: Video hosting helps you to storage video and plays them online. Video hosting sites also help you to share video and play them streaming. You can upload any kind of video files and share them into your website. Some video hosting sites are – youtube, facebook, metacafe, filestube etc. 04. File Hosting: It is very important for your website. The file hosting site provides you the facilities to share any files into your website. You can store a variety of file formats. The user can only see the files as displaying. But they can download these files. Examples – hotfile, megaupload, rapidshare, mediafire, ziddu, filedown, enterupload etc. If you are at the beginner of making a website, then you must need to use a suitable hosting. You may get the latest updates of web hosting from google. Also you can use the free web hosting to make a website. You must select the best web hosting to create a successful website.